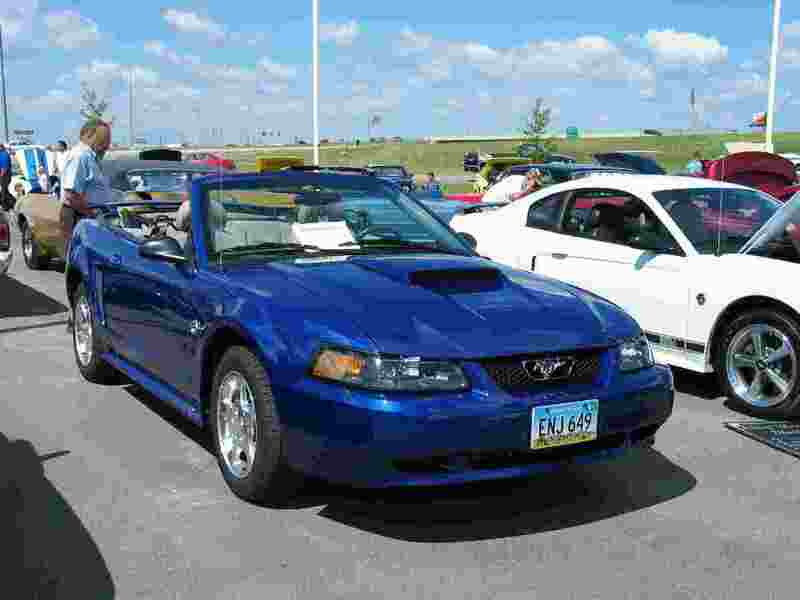 Classic Mustangs, especially those made for the debut of the model, have a deep appreciation and are some of the most sought after cars among car enthusiasts and collectors. These vintage beauties, now 40+ years old, retain their classic shapes but like many things, lack the technology and performance features of today’s Mustang. So what does a man do when faced with the decision to restore a classic to yesterday’s look and performance or do something else? Well, if you’re Carl you do both! 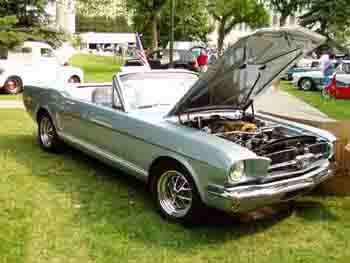 This 1964 ½ Mustang Convertible was purchased by Carl in June 1989 from a salvage yard, and salvage it was! 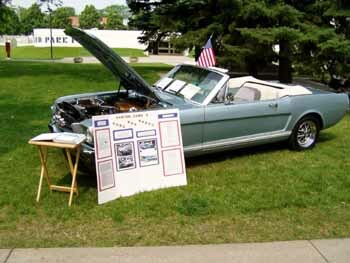 The Mustang’s build date of June 15, 1964 showed it to originally have a six cylinder engine, but that had already been replaced with a small block Ford V8. The V8 had in-turn, been replaced because rust had reduced the small block into a large piece of iron. It was at this point that Carl faced a dilemma, look for another vintage Mustang engine or go another direction. After some sole searching, the answer was provided with the help and guidance of California’s Windsor Fox Performance Engineering who had perfected a process whereby a 5.0 fuel injected engine could be trans- planted into a vintage Mustang. Carl soon found a wrecked 1989 Mustang GT that provided the 5.0 HO engine, automatic transmission, computer and complete wiring harness. Fast-forward some 13 years to 1992. Carl, now out of the Army, married with two children, decided to begin the complete restoration and incorporation of the two technologies. It was at this point that Carl’s memories of his youth and his first recollections of the Mustang surfaced to guide him. Back in his high school days, Carl’s best friend’s father had a ’65 Mustang convertible that Carl got to ride in quite often. That vision of that Mustang, in Silver Blue Metallic, stayed with Carl for all those years and guided him through the long restoration process. 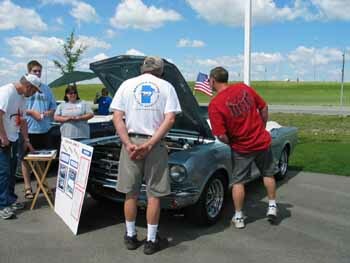 With the help of his wife Wanda, his two small children, the vintage Mustang was mated with the fuel injected 5.0 liter, HO engine and the extensive amount of body-work were completed. The addition of the performance features from the ’89 Mustang GT was completed with Carl adding disc brakes to the mix. 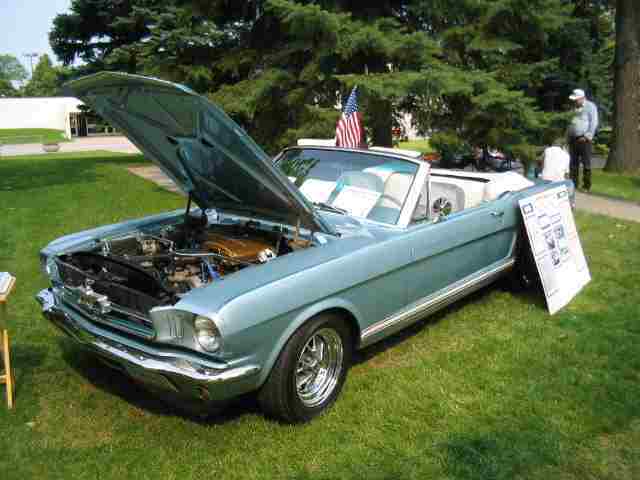 This Mustang has a build date of June 15, 1964, the summer when the Beatles invaded the United States. The memories of the Beatles invasion are still with us and due to the diligence of Carl and his family, so is this Mustang. Forty years later, just like a classic song, the memories of those great times and this wonderful car are still cherished! What do you after you’ve helped your husband restore his 1964 ½ Mustang Convertible and for thanks, you end up being relegated driving a pickup? 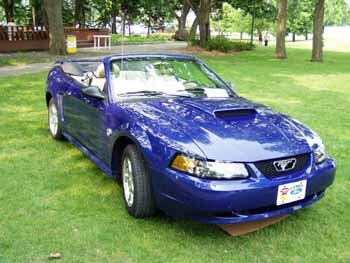 Well of course the answer is simple, you get yourself a 2004 40th Anniversary Special Addition Mustang Convertible! Oh, the things these wives put up with! After taking many years to restore their 1964 ½ Mustang Convertible, Carl and Wanda B. finally, could enjoy the fruits of their labor. But, says Wanda, "its Carl’s car always was and always will be. I’m glad to ride in it but, well you know". One day, Carl popped the question. 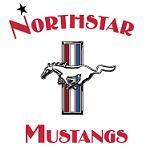 No, THAT question had been asked many years before, this question was "what would you do if we bought you a new Mustang convertible"? Wanda’s quick answer was, "well, I’d kiss you"! Well we presume the kiss was planted because Wanda is the proud owner of the 2004 Azure Blue Mustang convertible that you see here. Wanda’s also become, although we thought she already was, the coolest mom on the block and is routinely asked much more often to make those "necessary" trips to the grocery store, the Dairy Queen and all about town. Wanda, who is from Jamestown, North Dakota, surprised her parents this last summer when she and Carl each took their cars and entered the Buffalo Days Parade through downtown. "Listening to the wonderful remarks from the many people down the parade route gave me Mustang Fever", says Wanda. 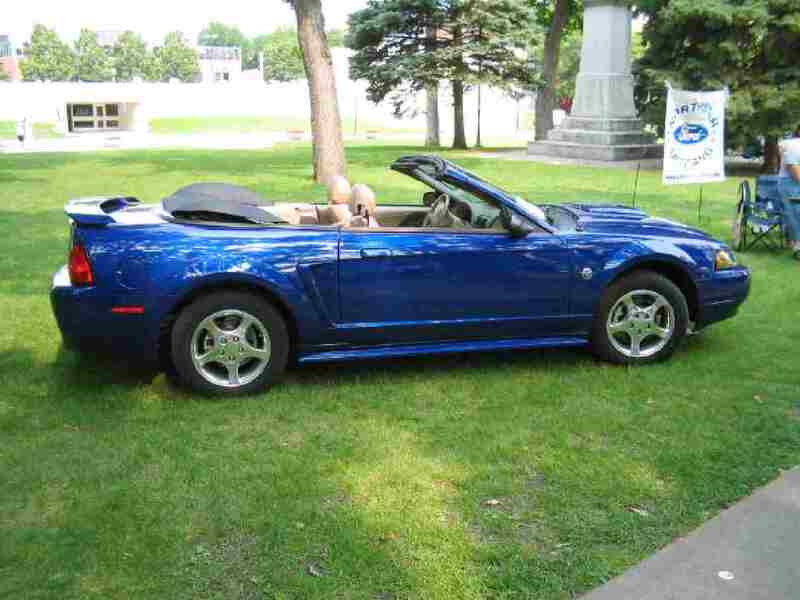 With Wanda driving this beautiful Mustang, I’m sure it’s a fever that she’ll be glad to have for a long, long time!